Now-a-days many engineering students are trying to improve their knowledge and skills by creating new projects. Especially in electronics field, there is lot of chance to prove themselves as good electronics engineering student as they have to do lot of hard work in completing the project. So, we are providing some list of mini electronics project ideas for final year engineering students. These mini projects are useful for B.Tech students from various streams like Electrical & Electronics Engineering (EEE), Electronics & Communication Engineering (ECE) and Electronics & Instrumentation Engineering (EIE). Coin Based Toll Gate System. Automatic Control for Unmanned Railway Gate. Automated Vehicle Identification and Toll-Pass System. For some more detailed live electronics projects information, kindly go through our official website of Edgefx Kits & Solutions. The awesome information provided. Very nice & Thank you..! I m planning to do a mini project based on micro controller.. can u guys please help me out…??? I’m somewhat sure I’ll be told many new stuff proper here! As per your query please read our articles based on the latest mini projects. sir I want RLC circuit projects idea and help. if you provide me, I will be kind very kind of you. As per your query please read our articles based on Latest Mini projects for ECE and EEE. hello sir i have request you for please tell any simple and scientific projects is based electric circuits with night vision camera. I’m an EIE 1st year student, can any body help me for Biomedical Engineering Project through power point. As per your requirement please read our articles based on Simple Projects for ECE and EEE. As per your query please read our articles based on Mini-projects and Major projects. hi iam sandeep.i have a idea of making theft alarm for homes.the security alarm has to be kept in lights without any intreption. As per your query please read our articles based on Home Automation Projects. Sir im electronics engineering last year student i want to do project plz suggest me latest ideas. i’m a first year ECE student. I want to a mini project , i would see many websites but i got no idea please gave me good idea. I want to do the project that is useful to people. I need to make a good final year project for ece…..i had chosen android based ECG monitoring system but i have no circuit diagram, source code etc…..I am very confused…please provide me the same. Also inform me about some more embedded projects and please mail me the same. As per your query please read our articles based on Communication Based Projects. hello….i am 2nd year EIE student.can u give some idea about mini project,but it should be unique………. Hello I am doing B.Tech in ECE . I am in 3rd year and I am searching for a mini project related to the branch. Can you please help me in finding a good project? As per your query please read our articles based on Wireless Communication Projects. Hi I’m doing my third year mechanical and automation engineering, please get me some ideas to do mini project with corresponding to my department! As per your query please read our articles based on mini projects. Thanks for reading our blog. As for the projects please check your mail for details and let us know if we were able to provide sufficient help. first of all ,thanks for sending me the project topics. Need simulation file in matlab for 5level multilevel inverter. so can u please help me to select a project, which are easy to do and cheaper in cost ..
am 5th yrs student,know i try to do mini project,but the tittle is defficult to do its simulation,so wtat i do? Simulation needs expertise on the respective software. You need to first mater the same for successful results. Meanwhile please go through the mail we have forwarded you for other options of doing a mini project. .can u suggest me some best electronics and communication based major projects.. Yes. But it shall be a 12X50=600VA transformer with 22 KV input and shall cost a fortune. Dear Rahul, Thanks for contacting us to know about electronics mini projects, our people will sent you a mail with complete details of your requirement, also we have done this page to provide unique mini project ideas, i would like to suggest you to follow this page for more updates, we will update this frequently also subscribe into our newsletter, you will get our regular updates via mail. Let me know if any. 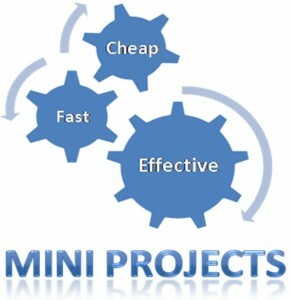 I am in sem 5 (3rd year EXTC)and this sem we have to do mini project …so can u plz help me 2 select project..
Great list of mini project ideas, thank you so much for update, looking for more project ideas. Sure, Keep visiting this page, we will update as much as possible with latest project ideas. Thanks for your feedback and suggestion.